OTTAWA -- The union representing Canada Post employees says 800 workers have walked off the job in the southwestern Ontario cities of Kitchener and Waterloo as rotating strikes continue across the country. The Canadian Union of Postal Workers says the walkout started Friday just after midnight. CUPW also says workers in Moncton, N.B., joined the picket lines Thursday evening, along with union locals in Hamilton, Ottawa, North Bay, Ont., Regina and Outaouais-Quebecois, Que. 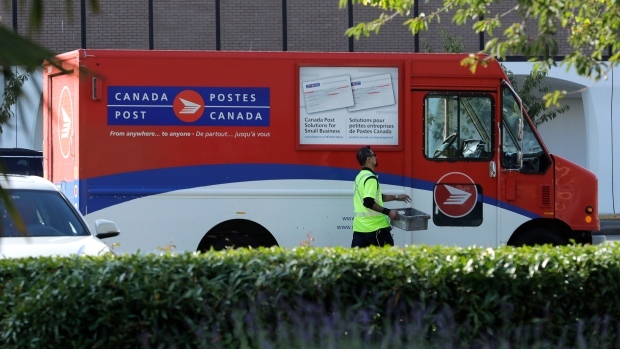 Canada Post says it has provided "significant" offers to its employees, including wage hikes, but CUPW says it falls far below expected cost-of-living increases. The strike at the Kitchener-Waterloo local comes a day after CUPW called for a national overtime ban, meaning postal workers can refuse to work beyond their normal eight-hour days. "Overburdening, overtime and overwork are all major issues in this round of bargaining," CUPW national president Mike Palecek said in a statement Friday. "Until Canada Post negotiators address it, we can solve it for ourselves in the meantime."